Hi all! 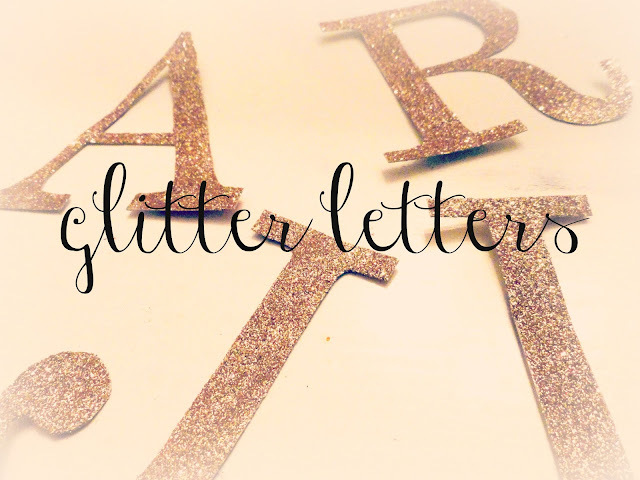 Here I am, with the promised glitter letters tutorial! 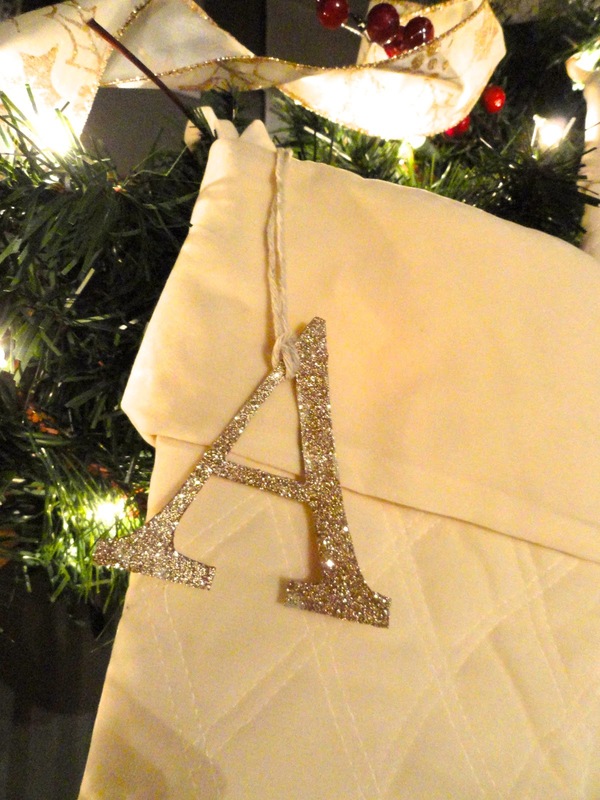 This is another quick and easy project you could get done before Christmas if you're looking to add some sparkle and personalization to your decor! I saw similar letters at Pottery Barn and decided they would be easy to copy...and free, since I already had the supplies I needed on hand! Letters printed, in the font and size of your choice, on regular paper. 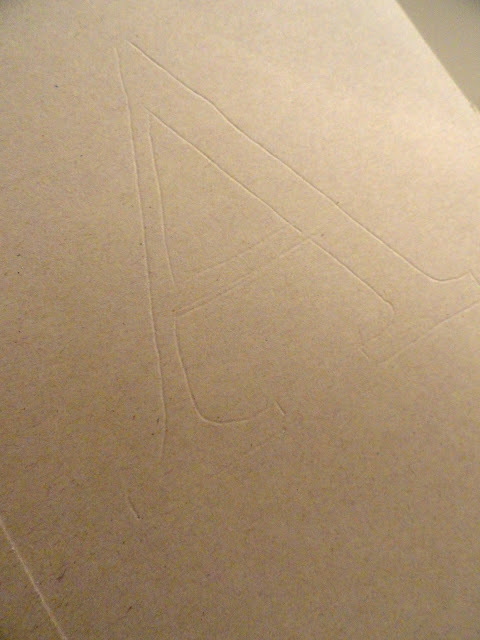 First, cut up the box in pieces large enough to accommodate the size of your letters. Put your letter on top of the cardboard, and trace the letter. Now, just cut out your letter. If you have one, use a hole punch to make it a little easier to start cutting the insides of the letters. Paint some glue onto your letter. It might curl a little bit at this stage, but it will flatten out while drying. Now the fun part...sprinkle on your glitter! Shake off the excess glitter, and let dry. I tied some kitchen twine to my letters so I could attach them to my stockings. I used these as a cute and inexpensive way to personalize our stockings, but they'd also make great ornaments, or tags to dress up a present! If you hang them on your tree, you might want to glitter both sides since they could be seen from the back as well. I like these so much that I might have to find a use for them elsewhere, and keep them out all year round! I'm linking up to the DIY Show Off's Holiday Highlights! Hi! These little letters look so cute - I love them as gift tags. Your glitter letters are super cute! Love them!